Patented schemes of the most important inventions in the history of humanity. All our wallpapers are made on new generation non-woven substrate. Printed with eco-friendly inks, MINDTHEGAP wallpaper are easy to install on any wall type. When hanging the wallpaper, apply the ready-mix adhesive paste on the wall and hang the strips one by one by butting the edges together. The adhesive allows for a while moving the wallpaper strips, so that the wallpaper pattern continues correctly from one strip to another. Magnificent imagery was selected to create one of the most amazing wallpaper collections. 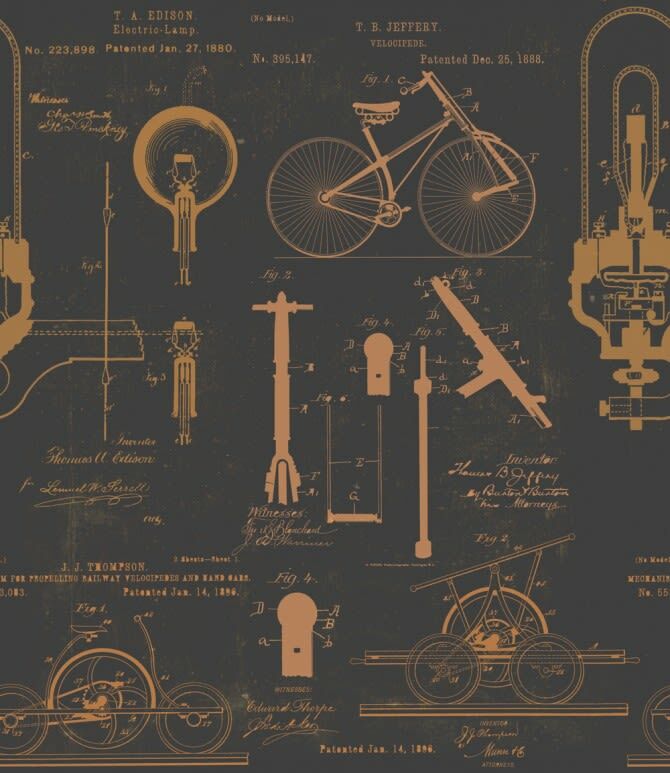 Ancient symbols, vintage patents and drawings, famous mathematical formulas or iconical photography are the ingredients of the first MINDTHEGAP collection of wallpapers. Our collection is suitable for any interior type, especially for those the vintage reinvented or the well known Eclectic design style."